“What is my chance of success in actually getting this grant funding?” This is a question we are asked almost daily, and the answer is not simple. Being aware of key trends and changes in the grant funding landscape will help the ambitious SMEs and entrepreneurs who have signed up to attend this year’s Business Funding Show. There are major differences in sector and region funding across all projects funded / partly funded by Innovate UK, with specific sectors such as “Health and Life Sciences” and “Emerging and Enabling” and regions such as the South West receiving the most funding. The report notes significant increases in funding available for certain key areas, such as Robotics and Electric Vehicle batteries, with these areas forecasted to see over 200% and 400% increases. Business size matters, as within this fiscal year there has been significantly more funding being funnelled into small and micro sized enterprises. In fact, 27% and 26% of funding offered was to Micro enterprises and Small enterprises respectively in the 2017-2018 Fiscal year. 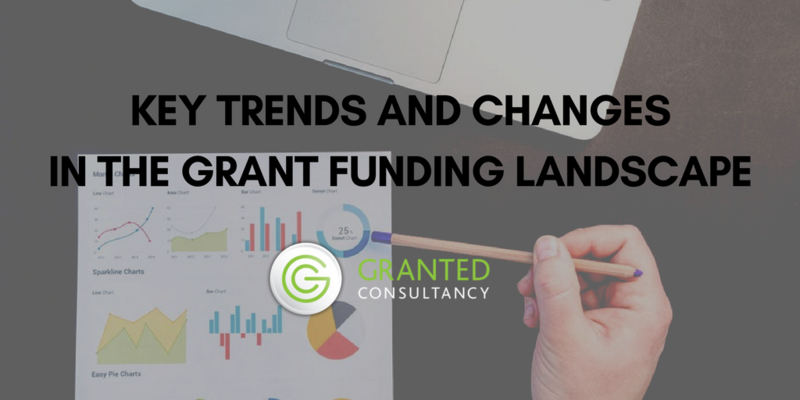 Regional differences have been exposed – with the South East, London and the South West dominating the funding allocation, between them accounting for more than 48% of funding awarded from 2004-2018. It is also noted that London and the South East dominate across the Emerging and Enabling, Health & Life Sciences and Infrastructure Systems sector. The Report also analyses whether the Brexit vote in June 2016 has had an impact on the amount of grant funding UK business receive from H2020, provides answers into which sectors and area benefit most from grant funding and notes major shifts in the businesses likely to be supported by grant funding in the future. The research and analysis is based on wide-ranging data sources including publicly available data, freedom of information requests and previously undertaken research. The new Grant Report will be released at the Business Funding Show on 22nd February 2018. Attendees will be able to secure their free copy by visiting the Granted stand or attending the Granted conference session “Top UK and EU grants” at 2 p.m. in the main arena. Meet Granted and other business service providers, as well as a broad spectrum of funders and other entrepreneurs, at the Business Funding Show 2018, an all-day event on 22nd February at London’s East Wintergarden. Learn more and secure your early bird ticket at bfsexpo.com.